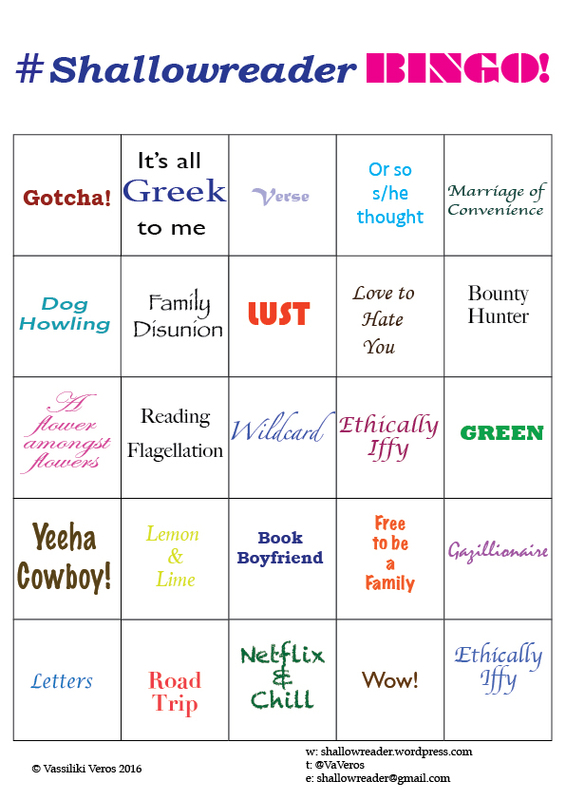 Here’s a new card for Shallowreader Bingo! As her prize for winning, two of the boxes have been contributed by A Willful Woman who scored a second bingo yesterday. And my sons contributed two boxes too, even though they are not playing. They say that they have genetic rights. In the meantime, join in and play! You put my two in the same column… how thoughtful! No one else will have a chance now, mwahahahaha! I’m curious which ones were your sons… the less romancey ones, or are they familiar with the genre? One of the two sons’ choices is kinda romancey in an NA way. I wonder if anyone picks it?